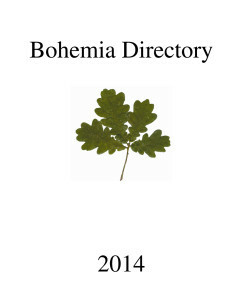 Directory of businesses and people in Bohemia and Silverhill. This list is currently being updated; dates quoted refer to last time information confirmed. 1066 Typesetting & Graphics Computer support & services. Bookbinders. Flat 3, 11, Cloudesley Road, TN37 6JW. Tel: 441390. Age Concern Elderly advice. Tel: 775721. Andrew Payne Chiropody. 07950 956164. Andy Hubbard Street bobby. 0845 60 70 999 – extension 21185. Aqua Trident Bohemia Road. 427988. Autotec MOT, repairs. 30b St Peter’s Rd. 07802 648374. Badminton Thurs at Horntye Park 9am to10am. Anne: 870007. Badminton Weds at Horntye Park 9.30am to10.30am. Alan: 870007. Barry Jones Chimney sweep. 83 Burry Road. 423389. 07531 027348. Bartlett Arts. 45 Bohemia Road. 721566. 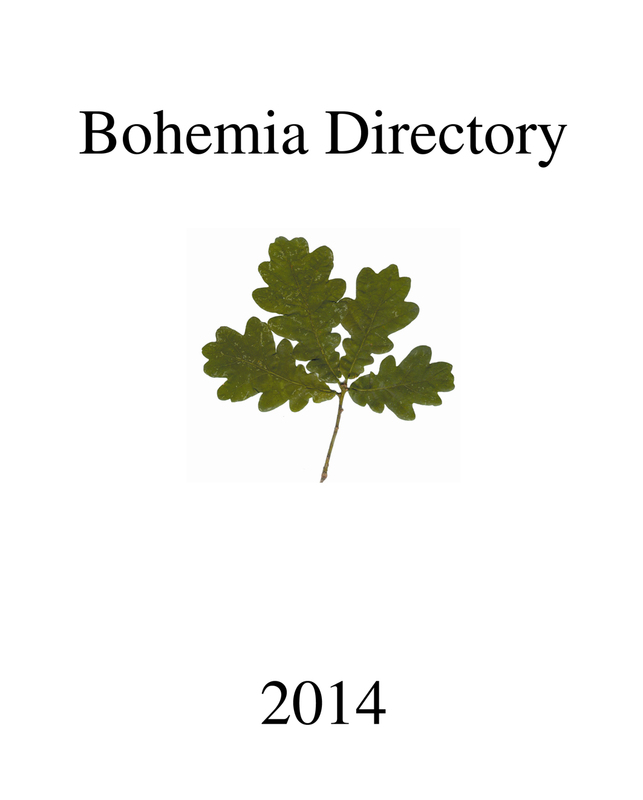 Bohemia Area Association publishes Bohemia Area News. Peter Holland (chair): 01424 445086. Terry Foord, membership secretary, Membership £3 per year. The BAA meets monthly in the vestibule at Park Road Church, Bohemia Road. ‘The BAA exists to seek your opinions, represent them to others, act as your pressure group, host events, talk up Bohemia and give you feedback’. Mike Cramp, treasurer: 714294. BP Silverhill Service Station. Sedlescombe Road North, Silverhill. 438636. British Red Cross Medical Loan Office. 38 Newgate Rd. 425342. Chris Thayre Swimming pools. Shornden Passage. Upper Park Road. 439831. Christchurch School Head: Anne Hannay. Woodland Vale Road. 422953. Co-operative Food Supermarket. 9-15, Sedcombe Road North, Silverhill. 01424 432767. Open Mon–Sat 7–10 Sun 8–10. David Drey Art classes. 07963 359 725. Dentists Chapel Park Road. 433666. Diana Mercado Herbalife distributor. 07795 074 338. Express Clean 436282. 07971 673623. Friday Larks Children’s choir. 441116 & 07508 706352. Gables Day nursery. Sedlescombe Road South. 426426. Garage on the Green Sales: 718080. Repairs: 425599. Groove Test Parties. Marquee hire, DJs 07814 659729. Harvey’s Hobs London Road, Silverhill. Tel: 721922. Hastings Borough Council Estates Department, Horntye Pk, 451641. Hastings County Court The Law Courts, Bohemia Road, TN34 1QX. 435128. 710280. Hastings Magistrates’ Court The Law Courts, Bohemia Road, TN34 1ND. 437644. Hastings Police Station Horntye Park. TN34 1JJ. 08456 070 999. Hercules Newsagent, groceries & lottery. Springfield Road. 712272. Holden Roofing 715223 & 07967 360398. Inside Out Theatre company. 12, Woodland Vale Rd. 438200. Joe Joe’s Chicken & ribs, Bohemia Road. 203344. Lidl Supermarket. Bohemia Road. 0870 444 1234. Manami Cheeves – aromatherapy. 446265 & 07961 377585. Matthew Lock County Councillor St Helens & Silverhill. Tel: 715351. cllr.matthew.lock@hastings.gov.uk. Mercer & Son Funerals. 421805. Music Gym For those with profound disabilities. 444322. Nicola Rodmell Dance. St Paul’s School. 07814 680933. NRB Carpentry 443 428 & 07968 019661. Occasional Gardening Company 712086. 07847 556151. Pavillion Decorator. Bohemia Road. 08081 559546. Richard Smart Bohemia Road. 422297. Roomz (The) 33 Western Road 713555. Salso Loco Tuition. Tel: 214746. Sedlescombe House Surgery Sedlescombe Road South. Dr Kaliniecki & Dr Lewis. 720574. Senlac Systems Computer maintenance. 447366. 07986 529925. Serenity Hair & Beauty. 01424 444946. Silverdale Children’s Centre Sedlescombe Rd North 460112. Silverhill Bistro Cantonese restaurant 3 Sedlescombe Road North. 718889. Silverhill Computers 6-8 London Road, St Leonards. 717717. St John Ambulance Bohemia Road. Tel: 421105. St Leonards Warrior Square Railway station. St Luke’s Church Alma Terrace, Silverhill, TN37 6QT. Rev Andrew Birch. 447003. 07939 113303. St Mary Primary School Jane Smith. Magdalen Road. 427801. St Matthew’s Residents’ Assn. Gaby Hill, chair. 434653. St Paul’s School C of E Primary School. Richard White, head. Horntye Road, TN37 6RT. Friends of St Paul’s: Jayne Jeffrey 437552. Jenny Smith, head. 424530. Stewart Buchan Illustrator. Amherst Road. 435922. Summerfields Centre 781777. Badminton tuition at Summerfields: Cathy Bargh (07931 284064). Summerfields Sports Centre Bohemia Road, TN34 1ET. 781777. 08453 374040. Summerfields Wood Friends of Summerfields. Derek Binns. 21 Barnfield Close, TN34 1TS. 431698. T & D Auto Repairs 07885 719769. Top Gun Specialist sportswear. Shornden Passage, Upper Park Road. Tote Sport 21 Sedlescombe Road North, Silverhill. Twana’s Car Mechanics Salisbury Yard. 07773 875269. Vauxhall Tech M Hall 437205.